Flew AI in November 2012 LHR-DEL-CCU return (AI112 A20 AI21 AI111). Check in swift generous baggage allowance. Flight was an hour late hence didn't cause much of a stir. In-flight decor seating etc.- appalling! Torn carpets and upholstery tired interiors poor lighting creaky and cramped seats poor back support made for a low comfort ride. Ground staff and in-flight staff - were excellent. Inflight entertainment: fair with a bias towards Indian programmes. Meals provided on LHR-DEL could certainly do with improvement arrived in sterile plastic containers cold not fresh. It certainly did not qualify as a wholesome 'Indian treat'. In contrast meals served on DEL-CCU-DEL-LHR were fresh full of flavour. Baggage handling: can do with improvement. Overall they did a good job with honest pricing of tickets and generous baggage allowances with room for improvement in some departments. MAA-CMB-MAA. Check in was by Air India Staff and was good. Flight was on time. Buses were new and good AC. Ground staff at boarding were rude. Flight Interiors were dirty and shabby. It needed a through cleaning. Seats were old and worn. Flight attendants were OK. Food was nice enough for the money I paid and an 1 hr flight. Overall value for money. Cleanliness could be improved. LHR-BOM-LHR return Boeing 777-300ER. Our seats were comfortable inflight entertainment was good with variety of games and Hindi and English movies. Check in at Heathrow was quick and at Mumbai airport. Tip - always check in online for both legs which saves a lot of time and ensure you don't exceed allowances. Food was good but once crew served the food and collected the rubbish after meals they disappeared and never came to serve and drinks or walk around on plane - nor attended to crew attention buttons when pressed. FRA-DEL-COK return. Check-in at Frankfurt had a long line which moved quickly. Boeing 787 replaced by B777-300ER food was good IFE had a very limited choice of movies. Crew was neither friendly nor rude. Bag delivery in DEL took quite a while. DEL to COK was on-schedule. The seats were uncomfortable as you could feel the metal in your back. 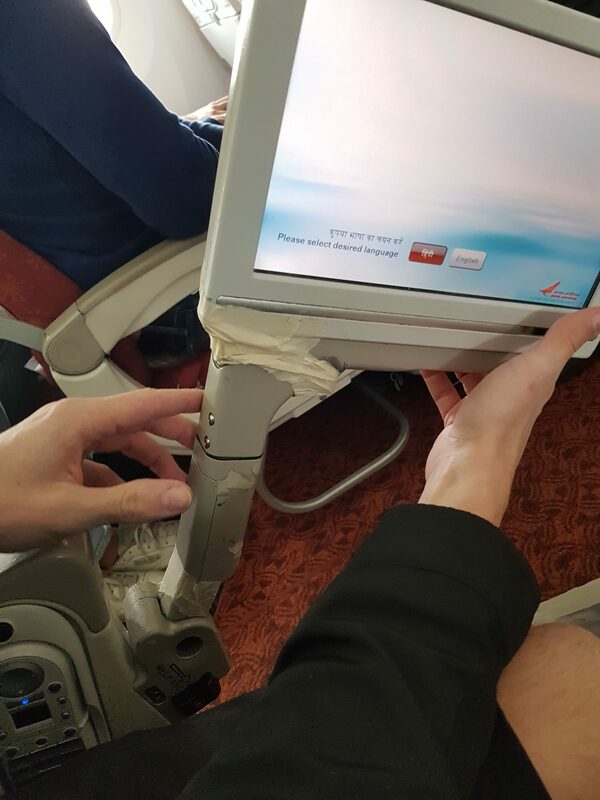 When flying to India from Germany the Middle East airlines are definitely a better choice. Air India had the best flight times the price was okay. My wife and I flew non-stop from Chicago to Delhi. Left on January 22 and returned on January 30 on Boeing 777-300ER. Our seats were very hard and uncomfortable my backrest evidently lost it's memory and refused to stay in the upright position front seat pocket was partially glued together with a disgustingly big wad of chewing gum the inner plastic window insert kept rattling in unison with the jet engines. Coffee was the absolute worse I have tasted flight staff were good. It got us there and it got us back home. BOM-DXB-BOM Airbus 320 both ways with 3x3 configuration. Contrary to previous reviews I really like this product. 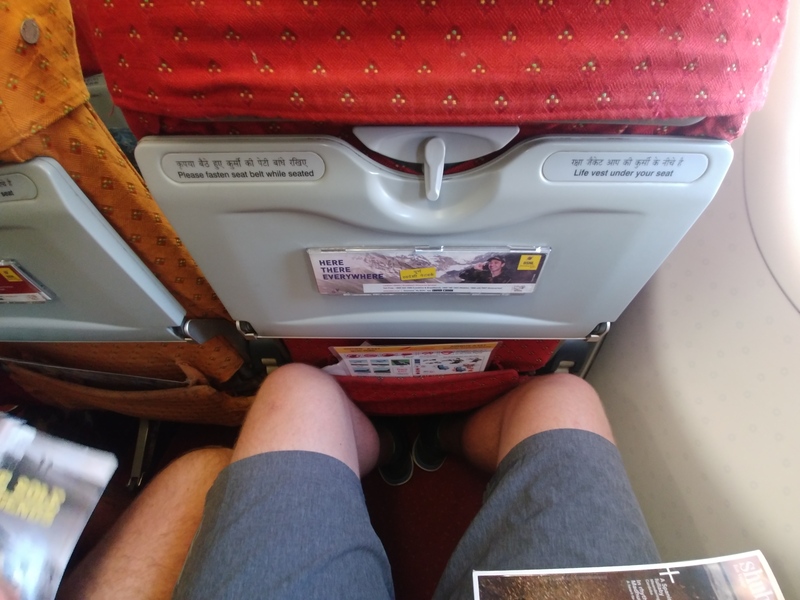 The leg space was superb outbound flight left on time food adequate and filling. IFE selection was limited. FAs were nice and helpful. Inbound flight was redeye. Delayed by 1 hr and reached BOM late. Again food was delicious and same IFE with same movies. Check in smooth in DXB but in BOM a bad experience. 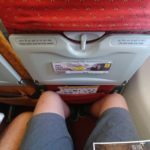 I was travelling with my parents and unfortunately even after repeated requests we were given seats separately. All in all a good airline with comfy seats and good onboard service and cheaper than other airlines. Great travel experience I had back in Aug 2011 on Air India was the reason to choose this airline for my 2012 travel. The transit/immigration through the new DEL airport was smooth. AI faced major delays on my return leg due to computer error at DEL and I ended up spending my time enjoying the new DEL T-3. The cabin crew kept an astounding service quality before the aggressive demanding passengers on board which made the journey memorable. Flaws occur but its very good to see AI is keeping up its pace to superior service quality. 23 December from LHR to Mumbai on the dreamliner. Plane itself was nice and the food and entertainment was fine although not much in the way of films/games for children. 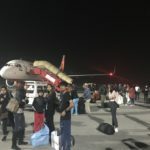 Luckily we had done online check-in for the connecting flight to Delhi as well. I handed in my luggage at the international terminal in Mumbai but this was not on the flight. After numerous telephone calls the luggage arrived on 26. 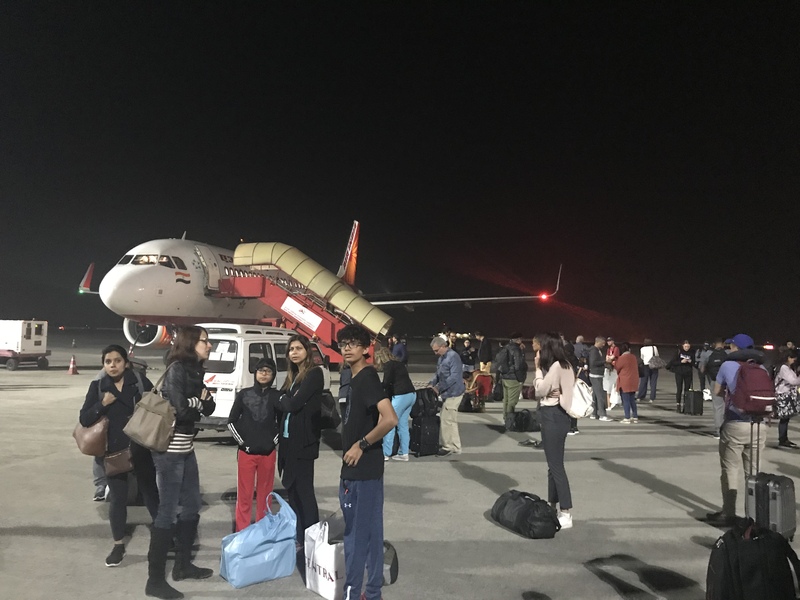 Flight from Delhi to Chandigarh took off despite the pilot telling us there would be little chance of the fog clearing which meant that we circled above Chandigarh 4 times before returning to Delhi. Chaos on arrival and were it not for 2 helpful passengers things could have been a nightmare as no onward transport had been planned. It eventually left in the form of a coach 2-3 hrs later. For international flights AI is good but for domestic flights it is chaotic and staff are very unorganised. I would avoid Delhi airport if possible. MAA-BOM-EWR on 22nd July. While checking in at Chennai was told I was checked through all the way to Newark. Chennai to Mumbai delayed an hour - reached Mumbai close to midnight - still had an hour to catch the flight to Newark - mysteriously without any reason baggage was offloaded at Mumbai had to go through security again at the domestic airport waited for an hour for a bus to take us to the international airport to be told that we had missed our flight. 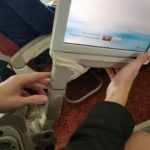 Air India staff were extremely rude and they had no intention of getting us on another airplane. After a lot of arguments I was put on a flight to London and then on to Newark - lost a whole day. My first trip on Air India to the US and will be the last. Business class from LHR to DEL Dec 2012 return. No complaints - all staff and crew were helpful. Plane was a new 777 and seats were very comfortable with a lot of legroom. The inflight entertainment had a good choice of English and Indian films. My only gripe is the lack of an Air India lounge for Business Class passengers at IGI airport in Delhi. It's unacceptable to send your premium passengers to a regular cafe with poor quality food and no WiFi where the staff are trying to charge you for anything they can get away with. Please Air India stop using Cafes at IGI and get yourselves a proper business class lounge with WiFi decent food and drink.